An 89-year-old Texas woman is suing United Airlines after falling down an escalator, claiming that the company failed to provide the wheelchair assistance they had promised. In February, Thelma Kiger arrived at the George Bush Intercontinental Airport in Houston, Texas after on her way home from a cruise with her niece. When Kiger departed from Los Angeles on her way to Texas, United employees escorted her to the gate with a wheelchair. The employees promised that she would be met with a wheelchair when she arrived in Texas. The lawsuit alleges that United Airlines failed to follow federal and state statutes and regulations when they failed to provide adequate wheelchair assistance to Kiger. This is not the first time this year that United has faced penalties for the treatment of passengers. Last October, D’Arcee Neal, a 26-year-old with cerebral palsy, waited over 30 minutes for a wheelchair to pick him up from his seat on a plane. He eventually crawled off the plane because he needed to use the bathroom and couldn’t wait any longer. 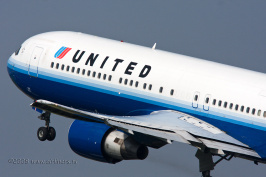 United later apologized to Neal and offered him a voucher. In January, the Department of Transportation announced that it was fining United $2 million for failing to follow regulations for passengers with disabilities and $750,000 for violating policies that forbid long tarmac delays. In 2014 there were 761 deaths on 12 commercial flight accidents across the world. Plane crashes and deaths are rare, injuries are more common. This past May, a flight from Punta Cana to Pittsburgh was diverted to Florida when it hit severe turbulence, injuring 7 passengers. Passengers and crew suffered cuts, bruises, and head injuries. Last December, an Air Canada flight hit turbulence on its way back from China, sending 21 passengers to the hospital. If you or a loved one has suffered an injury on an airline, you may be eligible for compensation. Call our offices today to schedule a free consultation.